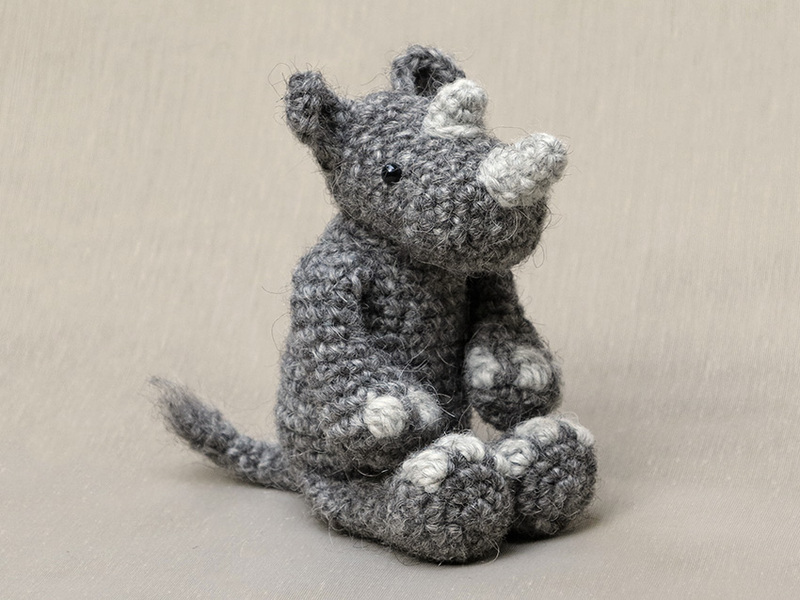 Proud and happy, I present my new pattern, Boason the crochet rhinoceros. A long time ago, when I was still an art student, I bought this utterly cute WWF rhino plush in a local shop. It was not the usual plush toy you expect for a rhino, but a slender, sturdy version of a rhino youngster. It had this look I loved at first sight. Now you all understand, that my main goal for this crochet rhino pattern, was to create that same look. Of course I was not going to make a crochet copy of that particular plush, but it had to give me that same feeling. And now, when Boason is finished, I can proudly say I did achieve that goal. Boason isn’t at all the same as the plush toy, but he has that unique slender but robust, sturdy look. He’s not very rotund, like a common rhino amigurumi, but has a more muscular appearance. Boason is sitting almost 5 inch /13 cm tall. 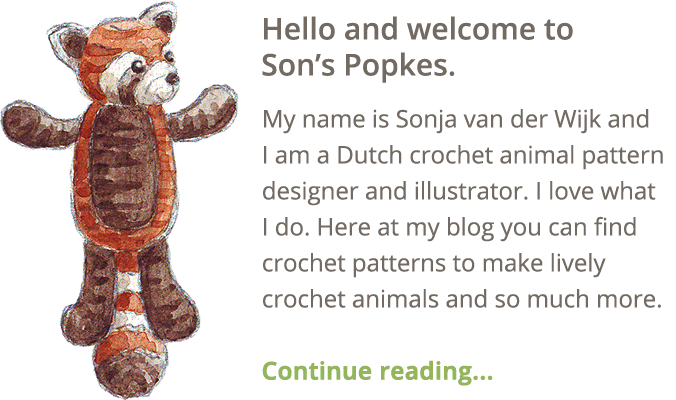 He is made with my favourite Lett Lopi yarn, which gives him his rustic appeal. Here are some more pictures of Boason and below it you can find more info about this crochet rhino pattern. How to get this pattern? 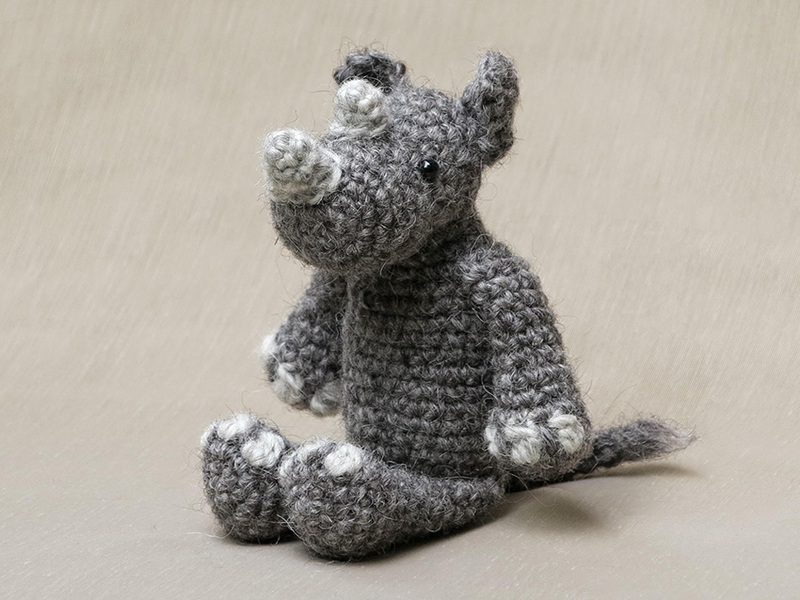 The pattern for this sturdy crochet rhino, you can find in my shop and in my shop at Ravelry. 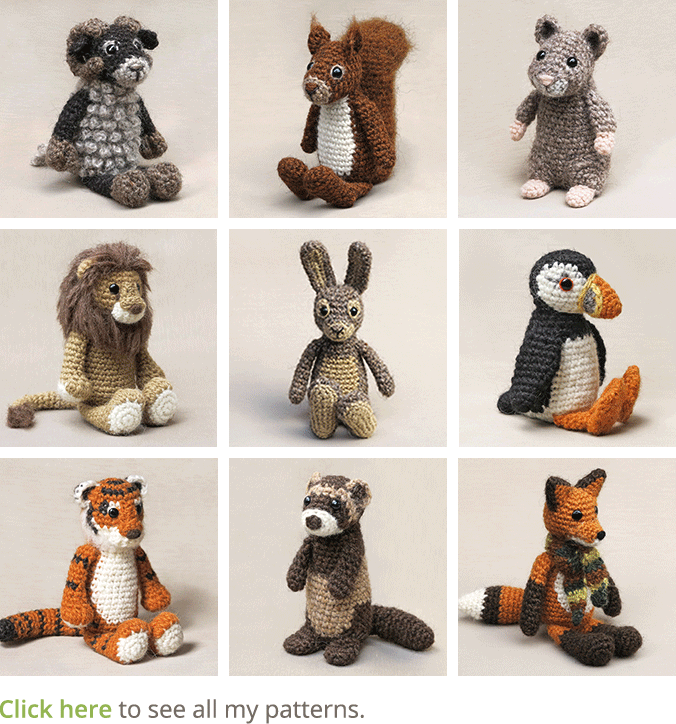 It contains a clear description of how to crochet and attach the beast with example pictures at the bottom to help you get everything right. 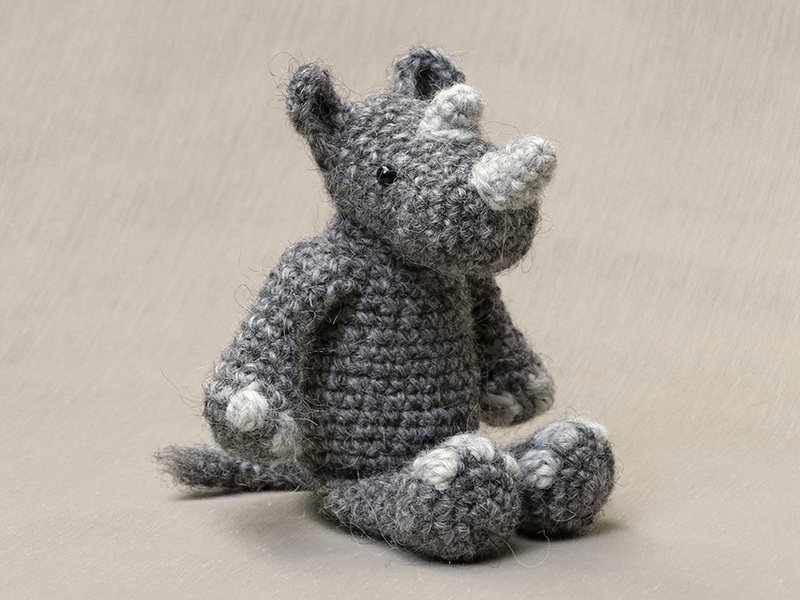 In the pattern you can also find what materials you need, the Lopi colour numbers, in short, everything you need to know to make your own crochet rhino friend. 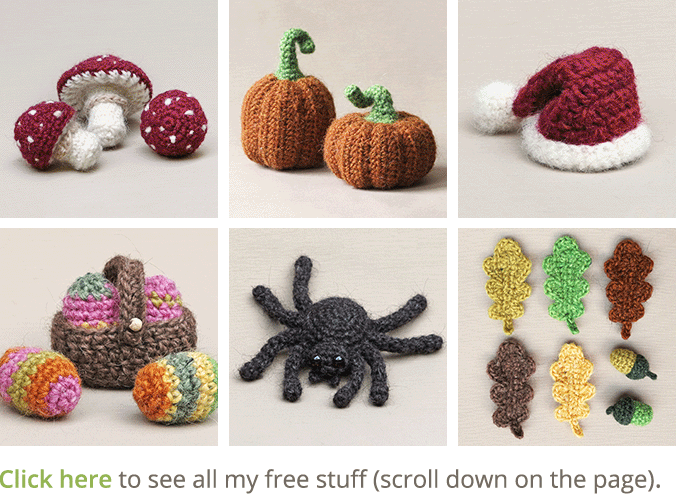 And heads up, the pattern has a one dollar release discount till the 30th of september. Sonja, this is wonderful. What a great little character. Cuddly and fierce, all at the same time. I love him already. What a perfect Rhino. I love him!